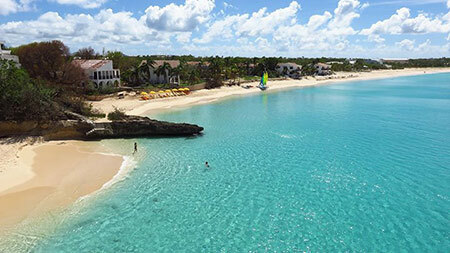 Anguilla Beach Lovers brings you the latest additions to one family's experiences of the "best of all things Anguillian." If you like this e-zine,, please do a friend and me a big favor and "pay it forward." Yachts are pulling into Meads Bay. Jets are stacked at AXA. Hotels and villas are at capacity. 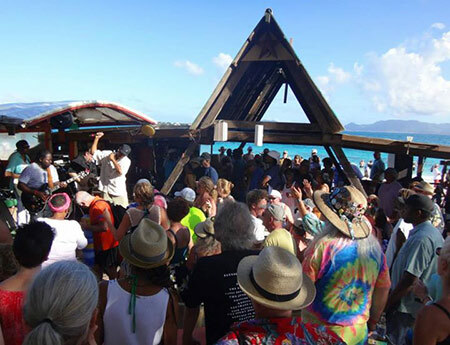 There's no denying it, we are in the full swing of things in Anguilla! It's hard to believe that another Holiday Season is already upon us. It felt like just yesterday we were celebrating Anguilla Day and cheering on Satellite during Carnival. ... and gave thanks for it each and every night. 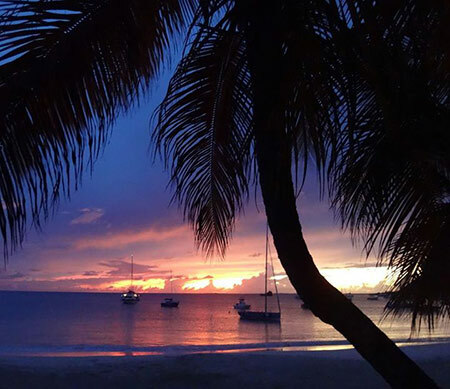 With December quickly coming to an end, we are nearly halfway through our latest contest, 33 Days of Anguilla Dreamin' with a $250-value dinner at CuisinArt's gourmet Le Bistro at Santorini or Tokyo Bay as the prize. From starfish and floats a-top the sea, to snow angels and runs through winter wonderlands, your submissions have indeed been dreamy! 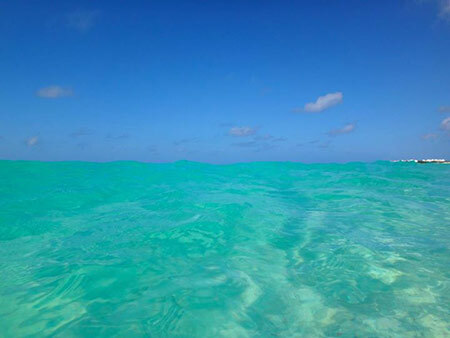 33 Days of Anguilla Dreamin'! Since December 12th (and until January 11th), our Facebook page has been featuring each and every one one of our sunlit strands of sand. 33 beaches, 33 days. 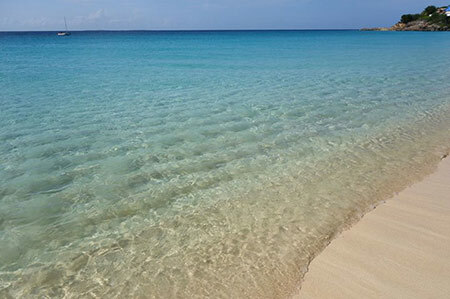 If you have not yet “Liked” Anguilla Beaches’ Facebook page itself yet, now’s the time to ensure you don’t miss a single beach. ... and click its “Like” button. 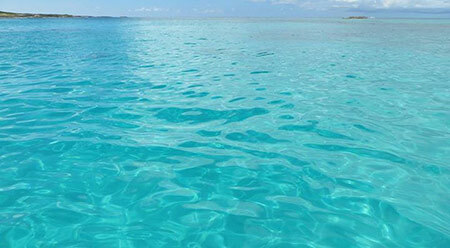 Your newsfeed will send you each day’s post, a different sun-and-sea-soaked Anguilla beach shot every day. How can you join in on the fun? "Winter and you," in contrast to the tropical sea-sand-sun shots. 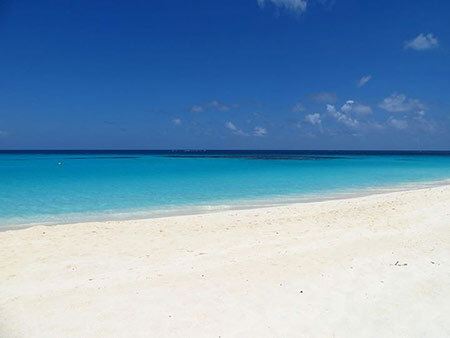 Or, if winter is too depressing, you on your favorite Anguilla beach! ... and then post it to our Facebook page. The winner of the gourmet dinner prize will be announced Jan. 19, 2015! 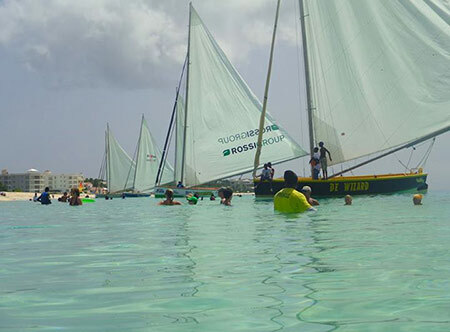 Our go-to watersports center on the island, Anguilla Watersports, is holding a tremendous offer exclusive to Anguilla Card Holders. Between today and January 10th, save an additional 5% on any of their services. That's a total of 15% saved! 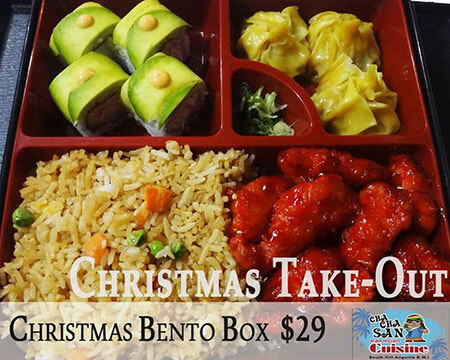 Chef Ken is preparing two special Bento Boxes this Christmas for take out. The Regular: Shrimp shumai, sweet chicken, the Miss Anguilla Roll (crayfish) and fried rice all for $29. 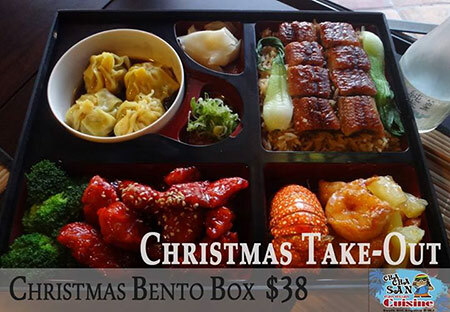 The Deluxe: Shrimp shumai, shrimp tempura, sweet and sour pork and dragon fried rice for $38. Place your order by Dec. 24 (264-583-1988), pick up at 6pm on Dec. 25. Simple and delicious, it's an excellent alternative for Christmas dinner. Will you be decked in white this New Year's Eve? The five-star CuisinArt Golf Resort & Spa will be holding a six course, haute-cuisine, black truffle inspired dinner. The theme? All white attire! With live music, fireworks at midnight, it is sure to be an elegant and timeless way to ring in the New Year! At the water's edge, da'Vida will be celebrating the New Year in oriental fashion with their party, A Night in Laos. The evening begins with an appetizer of Laos salad roll with honey taragon vinaigrette. Then? Your choice of tamarind braised kobe shortibs with Yukon potato macaire and braised bok choy or pan-seared Chilean seabass with sweet pea puree, fennel flan and pink peppercorn citrus buerre blanc. Red velvet chocolate kuchen is for dessert! 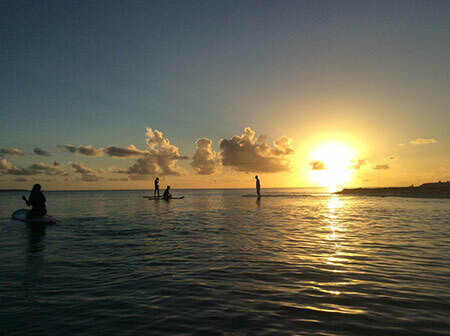 Live music, fireworks over the ocean at midnight and an afterparty at the Bayside Bar & Grill, da'Vida has it all. It's not too late to book a stay after the holidays, too. 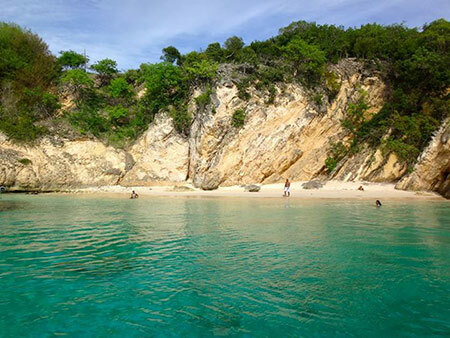 With temperatures at an all time low up in the "Great North," the time is never better to visit Anguilla. 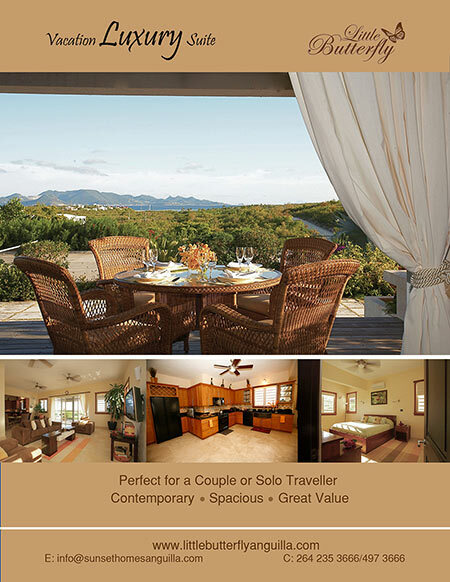 Luxurious (and affordable) Little Butterfly still has availability for January 17-27, March 3-14 and March 22 onwards. And, they offering a terrific winter getaway package! ... all for $242/night, including government tax and service. A kind man with a big heart, who also happens to have all of the skills to consistently keep Carimar delivering a five-star experience at affordable rates, the award couldn't go to anyone more deserving. Gwen's Reggae Grill Has Moved! The loyally-loved Gwen's Reggae Grill has re-opened its doors! 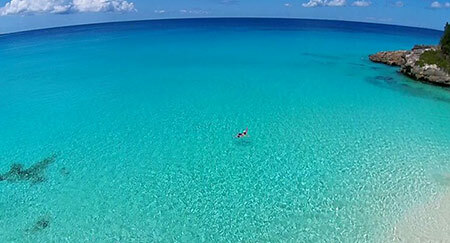 After battling sand erosion for the past couple of years, Gwen closed up her spot on the east side of Shoal Bay. You can find her on the west side of the beach now, with the same great smile and serving that BBQ we all love. A true slice of Napoli has arrived in Anguilla. Owners Juergen and Indra craft "Artisan" pizzas in their wood burning oven (which was flown in from Napoli!). Set in a stylish, European restaurant, the vibe is right and so is the price! 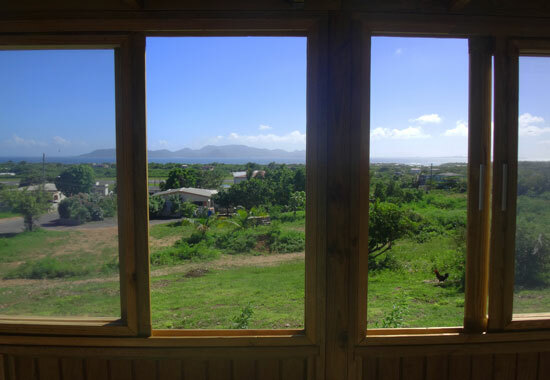 Cooking runs deep through the family that owns this new scenic spot in George Hill, Daisy's. 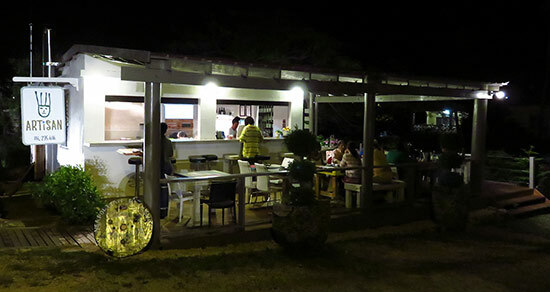 Don't miss their home-cooked Anguillian specialties. Colorful and bright, sweet and small in size and stature, Ruthy's Yum Yum captures the heart... and the stomach! 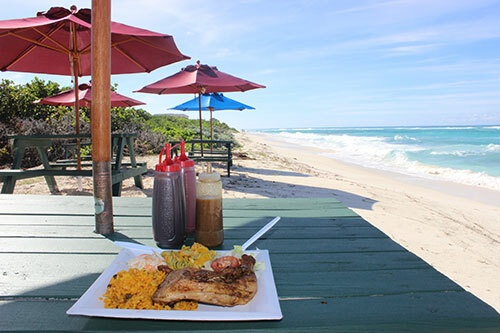 Loaded with flavor, it's no wonder this has become one of the most visited off-the-beaten path restaurants in Anguilla. Café de Paris, Ben Has Done It Again! Ben broke our hearts when he had to close his popular Big Spring restaurant last year. 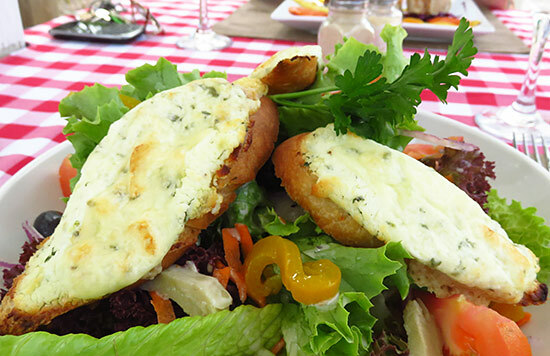 Gourmet French meals at low prices, his food is some of the very best we have ever had. 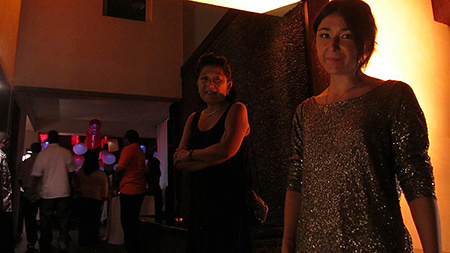 When we heard he was opening a new spot, Café de Paris, our spirits were lifted. It's good to have you back, Ben! That's all for this year! 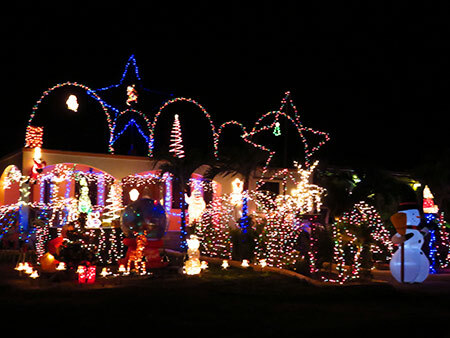 To keep up-to-date with island happenings while you are on-island this holiday season, download our app "Ultimate AXA" or visit our events page here. 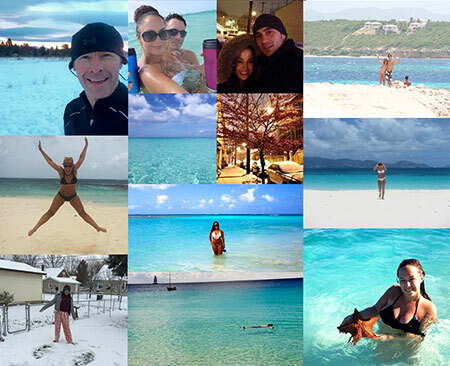 Here's to a happy holiday season & many warm returns to Anguilla in 2015!